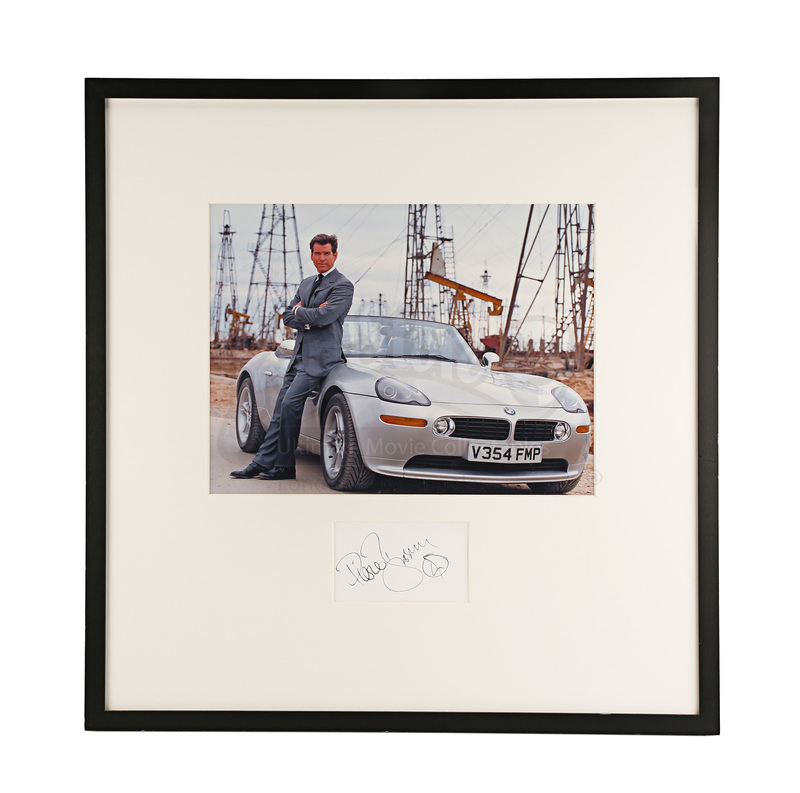 An original autographed framed photograph of Pierce Brosnan in his role as James Bond from Michael Apted’s 1999 addition to the spy franchise, The World Is Not Enough. 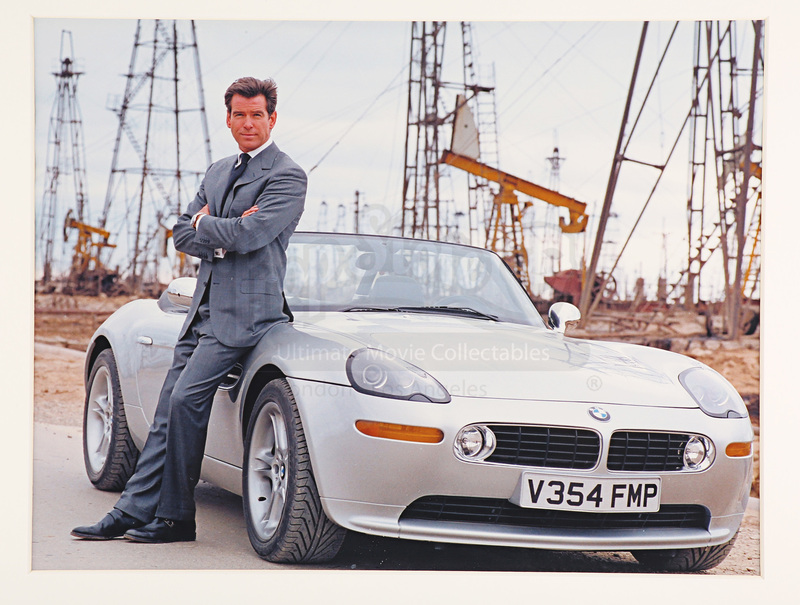 This item is a photograph of James Bond (Pierce Brosnan), leaning against his car, an E52 BMW Z8 prototype. The photograph is taken on location in Baku, the capital city of Azerbaijan, which is a large oil centre and all its oil wells (seen in the background) are situated off the coast of the Caspian Sea. 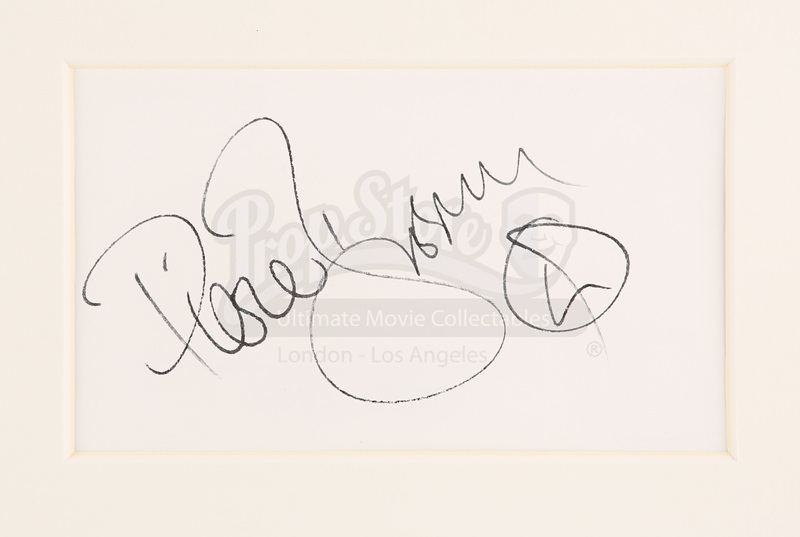 Beneath the photograph is Pierce Brosnan’s autograph in black pen. 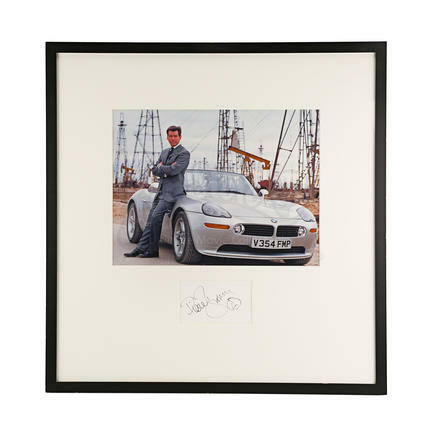 The photograph and the autograph are presented in a white cardboard mount and a black wooden frame and the piece is in excellent condition. Materials: Glass, Paper, Card, Wood, Ferrous Metals.